Wow! 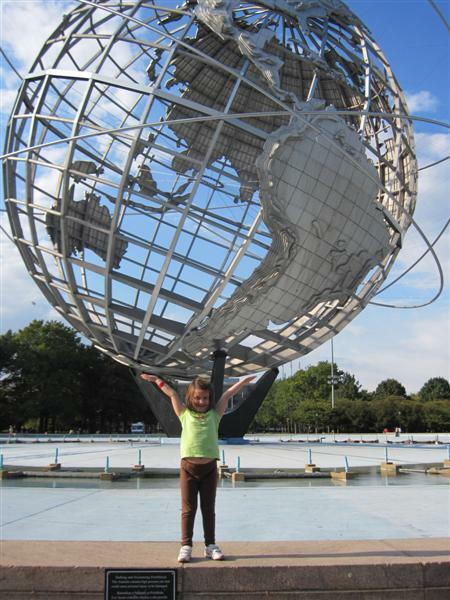 I remember going to the World’s Fair when I was small, maybe abut your daughter’s age. I have vivid memories of the Unisphere all lit up with the fountains going, and all of the amazing attractions (some of which are now in Disney World). I haven’t thought about it in years, even though the World’s Fair is one of my favorite childhood memories. Thanks for the reminder! What a wonderful photo. We also like to take trick photos like that.